Saskia: Before Deliveroo, I actually worked as a copy editor in publishing, most recently on the IKEA club members’ magazine. So I had a lot of experience in coordinating people, working with different groups both remotely and within an office, managing production schedules — lots of verbal and written communication. And then I joined Deliveroo as a design project manager, working with a brand-new team that we were setting up — an in-house creative studio. We looked after all the marketing campaigns and we worked very closely with the product design team — at that time we had one design team that worked on both the product itself and the marketing. I was there for about three years in slightly different iterations as the business grew. Then the opportunity came up last year to transition into the ResearchOps role that I now have. So I come to this very much from the perspective of program management and project management. Saskia: It was actually a very fortuitous conversation that I had with our content, research and design director, Simon, who was the person who had originally hired me back in 2015. We were just chatting about what I was working on and what my plans were, and I mentioned that I was hoping to move on from the role I was in. And he said, “Oh, you know what? You should speak to Charlotte, our research lead, because she and I have been speaking about this role and it would be really suited to you and your skillset.” I spoke to Charlotte and she outlined the areas that she had in mind for the role and it sounded it like a really good match for what I was looking for — I was really lucky it worked out that way! Charlotte had previously worked with Kate Towsey at GDS, so she’d been following Kate’s conversations around ResearchOps and what it can offer a team. As the Deliveroo research team grew and reached a headcount of 10, she realized that operationalizing what we do by adding a ResearchOps function would add more additional bandwidth than simply continuing to hire more researchers. It would allow them to get more out of their day-to-day work and maximize the impact of the research. I feel fortunate that I didn’t have to convince anyone of the need for ResearchOps, because Charlotte was already clear that it would work well, and our CRD director was really supportive of it. Sofia: It sounds like your role wasn’t well-established before you took it on — how did you deal with establishing your priorities and responsibilities? I spent my first two weeks just having long conversations. As I mentioned, we only had 10 researchers, so it was manageable. I spoke to every single researcher for an hour and asked them,”What are you struggling with right now? What takes up most of your time? What are the things that frustrate you?” I basically did an in-house research study on the researchers, but also with a few product managers, data scientists, team leads and designers, because I wanted to find out what they struggled with when interacting with user research. I was also lucky (if you can call it lucky!) that this was around the time of GDPR taking effect and so that was a very clear starting point — everyone was worried. They weren’t sure whether we were doing the right thing, or how to implement it, or how to make sure that we were set up in the best way. So that actually helped cement the value that ResearchOps can add to the team, because I could own that for them. It allowed me to give them a process to follow that would make it easy for them to incorporate compliance into their day-to-day work. It took a lot of pressure off the individual researchers, and it reassured them. The situation really demonstrated the value of ResearchOps to the team. Saskia: I don’t think I was massively surprised by anything the team needed, but I was well briefed to start with. Perhaps the one thing that I was surprised by was the discovery that the level of worry around GDPR versus the reality was quite incongruous. The team were actually already doing almost everything necessary — there were just a few tweaks that needed to happen to the process and they needed someone to be their official guide for it. So maybe I was surprised at how quickly I could dramatically help them, because a lot of the issues were actually quite simple to solve. A key element was standardizing processes, file organisation and templates — making sure that basic infrastructure was there. What I did find surprising as I took the role on is that I spent a fair portion of my time speaking about the actual research to people — there’s a lot of joining the dots and making connections between stakeholders. Maybe that comes from my previous role where I was very much the voice and the face of the creative studio, so people are used to coming to me if they are not sure where to find something or what’s happening. I get a lot of questions from designers, for example, asking me where they can find a particular research project — I’ve kind of become a human signpost. I think the other surprise came a little bit later — I had given myself specific deadlines of how long I thought addressing certain issues would take, but I had to remove these from my spreadsheet. I realised that if you are the liaison between the research team and other departments, you’re relying on other people’s time and priorities so you can’t always control your own schedule. Some things ended up taking a lot longer than I had expected. Saskia: The obvious one is the finance team. I manage the budget for user research, so I’ve worked with finance on setting that up, tracking it and of course on getting it signed off. I also often liaise with the procurement team, because one of the things I’m doing is making sure that we have a standardized set of tools in place that the team can use. Legal, as well, making sure that all of our consent forms, privacy policies and so on are as streamlined, up-to-date and consistent as possible. 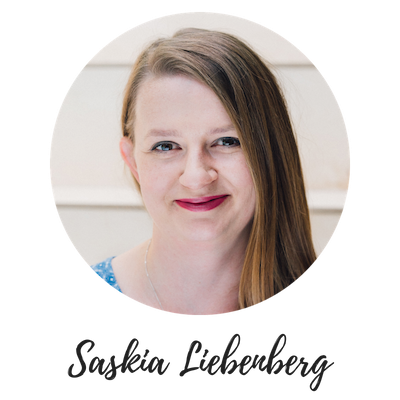 Saskia: Actually not so much — that might be because our research team is stretched and in high demand, so they always feel under a lot of time pressure. They’ve been very grateful and onboard with anything we’ve implemented to streamline their workflows and to help them with the back and forth on recruiting participants. Some have embraced the changes and additional support immediately while others have been a bit slower to do so. But we view it as, we are a resource that is available to the team. So if you want to work with the recruitment coordinator to manage the recruitment for your project, we are here to support you. However, if you’d rather do it yourself, that’s totally fine — there’s just a few things that you need to ensure you’ve done in a compliant way. Everyone needs to follow the same processes, but we are very happy for people to manage things themselves if they want to. It’s been interesting to see the gradual switch, where researchers have started to use the recruitment help we offer more and have seen just how much time we can save them, so they can spend more time making sure that the actual research plan is executed as well as possible. Saskia: That’s actually something Charlotte and I have been speaking about quite a lot. How we view it is that, ultimately, the impact and the strategy of the research team is driven by Charlotte, and I drive building the support and the infrastructure that enables the researchers to meet that strategy. I think this close collaboration between me and Charlotte is one of the reasons why I’ve not had that many problems setting ResearchOps up, because we are so aligned. But one of the things that we’re still working on as a business at Deliveroo is how we measure the impact of different teams. We’re still figuring out how to formalize the way that we evaluate projects, making sure we are measuring the impact of each one — and sometimes that impact is in fact deciding not to do something, which is less straightforward to quantify. So that’s a work in progress — but it’s very much a shared responsibility between ResearchOps and research leadership. Saskia: That’s such an interesting challenge. I actually think that there are a lot of similarities between setting up a project management office and starting a ResearchOps function — because the researchers are essentially project managers who run their own research projects. What the PMO and the ResearchOps team give them is the infrastructure, as well as the knowledge and the best practices, they need to do their job well and efficiently. Saskia: I think there’s two sides to the role and this is why I feel incredibly fortunate to have stumbled into this, and why I enjoy it. So you’ve got to be really meticulous and organized, but you also get to interact with people and support the team. I really enjoy giving a well-functioning highly skilled team the platform they need to do their best work, and helping individuals when they come to me because they’re not sure how to approach something. I can give the team something that makes their lives easier, and that’s important to me. So I love the human side of it, making sure the team is supported, but I also enjoy the really geeky side of it, with my spreadsheets and tabs and trackers. I think it’s something that’s suited to someone who doesn’t mind getting stuck in to the nitty-gritty and the detail, but who can also keep an eye on the bigger picture. The whole aim is to help a team to excel — that’s the ultimate goal and that’s the part I really love. Sofia: That’s wonderful! Anything else that you would like to share before we go? Saskia: When you start a role, I think it’s important to find your tribe. Find people who are doing similar things to you in the business. We actually decided to call my role “research program manager”, to make a clearer connection between other program managers in the business and technical program managers as well. But remember that there’s no one-size-fits-all approach. I attended the DesignOps Summit last year, as I realised that there are a lot of parallels between ResearchOps and DesignOps and other ops teams, and I really enjoyed the keynote address by Leisa Reichelt, where she just said, “Context is everything.” There’s no one approach that’s definitely going to work for every business. You have to look at your specific context. I think that’s really liberating and exciting — there will always be different challenges and different nuances in every workplace, and I think that’s really great. It means there’s a lot of scope for continued growth in ResearchOps as a career path and for us to all learn from each other. Originally published at blog.getenjoyhq.com on March 28, 2019.